Can Cats Eat Watermelon: Fresh Fruit or The Seeds? The most favorite summer fruit for most of us, watermelon is an excellent for hydration during the warm summer months. Can cats eat watermelon? Yes, of course! The delicious mouthwatering fruit is much loved by most people and they can share it with their pet cats, too. There are a few precautions that are essential for your pet’s health when it comes to human foods, particularly watermelon. Read on for all the important things you need to know about watermelon and its benefits and disadvantages for your feline friend. Watermelon is a good source of the vitamins A and C, both of which are important nutrients. The essential minerals, magnesium and potassium are also provided by watermelons. 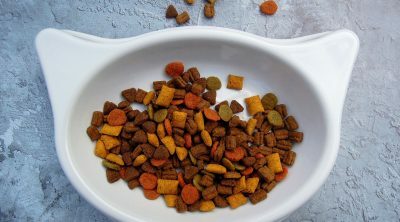 These are important for a balanced and healthy diet for your cat. Another important aspect of watermelon is the water content. Watermelon has a high amount of water to offer those who ingest the fruit and can offer even more hydration if offered frozen. Cats benefit from the many vitamins and hydration that watermelon offers, but only in small amounts and if your cat is otherwise healthy. If your cat has diabetes, you may want to avoid feeding her watermelon completely due to the high levels of sugar. Cats that are diabetic must have a low sugar diet, even when the food offered is healthy. Healthy foods such as fruit have high amounts of sugar even though the food is full of other vitamins and nutrients. You may find the benefits of watermelon in other sources that have lower amounts of sugar, in the event your cat has diabetes. Overall, watermelon does not hold too much nutritional value in comparison to other foods that are essential for cats. Cats are carnivores and their main diet has to be meat. Cats need to eat meat from animal sources, and require protein to survive. Watermelon is not a meat source and does not have protein, but cats can benefit from the water content if nothing else. 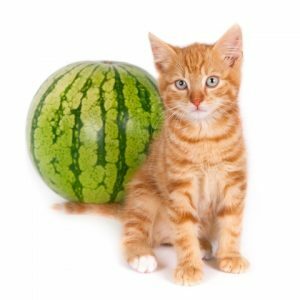 Watermelon should not be used as a main food source for your cat, but as a simple treat. Watermelon’s taste makes it very popular among people. However, this sweet flavor may not hold any meaning for your cat due to the popular belief that cats cannot identify sweet things. This is true for most carnivores! Your cat may simply like the texture of the watermelon and the refreshment of the water content. 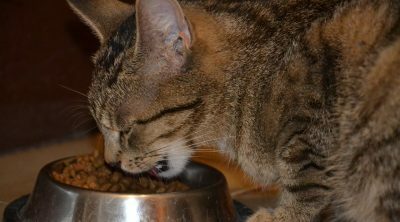 Your cat is not drawn to sweet foods, she is simply attracted to food that is interesting and will also add to its survival rate. 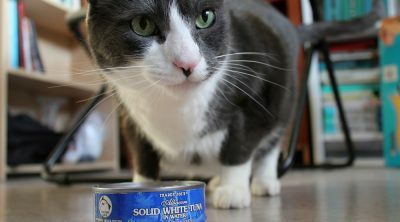 If you find your cat sniffing your watermelon, or attempting to lick the melon piece and explore the fruit, allow your cat this treat when and if their nutrition is already met through traditional cat food methods. The fruit content or pulp of a watermelon is safe for your cat. However, you must remove the seeds before you feed it to the cat. This is due to the fact that some of the compounds found within the seeds can be very harmful for them. It is believed that watermelon may be hazardous if all the seeds are not removed first. Seeds can cause choking and intestinal blockages. Seeds may also be bitten, thereby releasing potential toxins that within the seed. If a seed is swallowed whole, the seed can cause internal damage, but may also simply just pass right through. If a seed is bitten, however, the risks doubles in that poisoning is now a risk factor as well as the internal blockages and choking. Watermelon seeds contain cyanide, which is also known as cyanogenic glycosides. This is a product that is harmful for cats as they cannot process it. If your cat crushes the seeds accidentally while eating watermelon some of the cyanide will enter its body, which may lead to poisoning. Your cat may then start vomiting or get diarrhea. If this happens, take it to the vet right away. 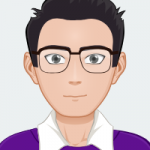 Your cat’s body is doing the right thing by forcefully removing the poison, but your cat will need to have all of the traces of the poison removed from their body while remaining hydrated. A vet is able to complete this process safely and you should not try it at home. There is no specific amount of seeds that could result in this. However, it is advisable to remove all the seeds before feeding your cat watermelon. Along with the seeds, the rind needs to be removed from the watermelon too. The cat may have no difficulty in eating the juicy rind; however, it is rather hard and difficult to digest. The rind is difficult to bite into, making the rind difficult for a cat with a small mouth, teeth, and throat, to properly chew, swallow, and digest. Humans do not usually eat the rind of a watermelon, and we have stronger teeth and digestion. Imagine a little cat eating this hard shell! If you notice your cat has eaten watermelon rind, be sure to watch him or her for any odd behaviors or pain, and take to the vet asap. The rind can cause an intestinal blockage and even death. Like all people’s foods, you need to limit the quantity of watermelon that you feed your cat. In large amounts, watermelon may carry more hazards than advantages for your cat. The adverse effects on your feline’s health will start being visible over time. A few pieces at one time may be suitable, while a whole plate of melon would not. 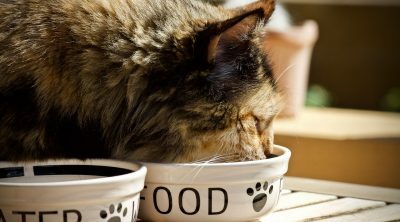 Feed your cat moderate amounts of natural foods. 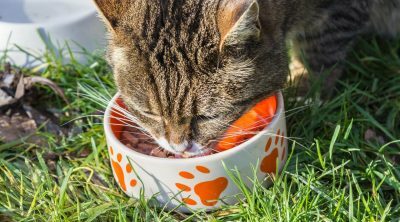 The foods that will provide valuable minerals, vitamins, fiber, enzymes and antioxidants which may be missing in usual commercial cat foods are the types of whole food you may safely offer your cat. Your cat requires a certain balance in nutrients and you should not attempt to replace all her food at once with fresh fruits, such as watermelon. Instead, consult your veterinarian or pet nutritionist for an appropriately balanced diet. Just as people are allergic to certain foods, cats have their possible allergies too. Be very careful as you add watermelon or any other new food to your pet’s meals. Start off with a small amount and monitor his/her health. 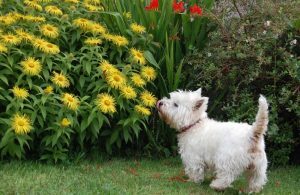 Possible signs of an allergy could be diarrhea or vomiting, in case of which you need to stop feeding your pet the new food right away. Basically, just use common sense and you and your pet will remain safe. Water is the main content of a watermelon, hence the name! This is why it is the perfect fruit for rehydration for your cat and yourself during the summer. Because cats, like other carnivores, can’t identify sweet taste, they like watermelon only because of the water content. Fruits and vegetables are an important source of fiber, which is essential for the digestive system of your cat to function smoothly. According to experts, watermelon, cantaloupe and honeydew are all good options for your cat. Coming back to the initial question, yes your can can enjoy a piece of watermelon. 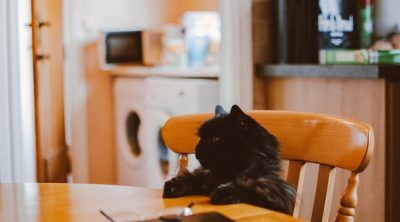 Your cat is quite possibly very adorable and eccentric at the same time, and may eat unusual human foods that may get you worried. Yet the fact is that domesticated cats have adapted to feeding off our table. Many of our foods are not harmful for them in small quantities, as long as they get their regular well-balanced meals as a routine!